Some of you may have heard of story cubes. However, I find them slightly pricey and the pictures are not very attractive to children. So we made our own story cubes, and guess what, we only spent SGD2 to buy wooden cubes from Daiso! Think of a theme for each block, for example, weather, people, places, food, etc. Use pencil and ruler to draw lines on the paper, to mark out the size of one face of the wooden cube. Draw the pictures on the paper. Cut the pictures out and paste them on the wooden cube using Blu-tack. Get the children to throw the cubes, so that there is a combination of themes like weather, people, places. Based on the picture, ask the children to think of a story and write it down. Other than developing English creative writing skill, your children can use them for Mother Tongue Languages too! The next mummy on the blog train is Cherie. She blogs at Cherieladie.com and is a full-time working mum to 2 active boys aged 4 and 2.5. 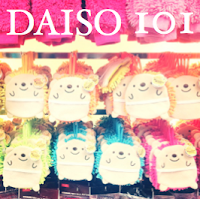 She’s a self-professed Daiso-holic and can never resist the lure of a Daiso shop (who can?). She often lugs huge bags home much to the horror of her husband. 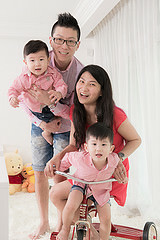 Hop over and read about her Daiso hauls – what she buys, what she uses and how she turns some stuff into games for the kids. Yahoo! I've been looking and wondering where I can get square plain blocks! Muacks! Which section may I ask so I can just head straight there! They are at the craft section! Happy shopping! You are always so creative! Love the way you utilise these blocks. Thank you Phoebe for your kind words! Such a great idea to teach vocabulary and story telling. Thanks for sharing! I think it helps that your kids got to draw the pictures themselves. Makes them more keen to use the blocks! Great idea! Think it is more meaningful to involve the children in designing the cubes! That's such a creative idea for story writing. Going to keep this in mind when my son reaches that age. Hope your son will enjoy this activity.